Change-it-up-Monday…..What are YOU Gonna Do????? It’s Monday…..what are you doing today? I know that Monday is everyone’s favorite day of the week but it IS the beginning of a new week to make something happen. Or are you thinking, “here we go again’ with the same ol’ week doing the same ol’ thing? We cannot change what we are given, but we can change what we do with it. Let’s make that choice that we will do something different today. As big or as little as you think necessary; but let’s change it up. Do not ask your child the second they come in the door “what their number was”, ask them how their day was instead. When in line for coffee tell the cashier that you are paying for the next person’s coffee also. When someone does something at work that is ‘cool’, let them know. Tell your spouse/partner that you appreciate the fact that they do more for your child’s diabetes and how much it means to you. Call your parents and let them know how much you appreciated them and all they did. When people think something is funny at the expense of others….do not fuel the fire. Okay; try smiling at a stranger. Try holding the door for an extra second or two for someone who is “just outside” two steps from the door. Try not being on a cell phone while paying for someone and look the store associate in the eyes and say thank you. Because no change is a big change unless it starts as a small change; and those small changes add up. Let us know what you did differently today. Why Won’t Our Parents be Involved with Our Child’s Diabetes????? I want to be 100% clear that I’m not judging one way or the other with today’s article. My answer and what others say; is not your answer, nor should it be. This is one of the toughest articles I have written but I just felt it needs to be addressed. Perhaps it might open a discussion and if that happens, and one family feels the need to change and does, we move forward and that is always a good thing. If it helps you somehow deal with diabetes just a little bit better, that is not such a bad thing either. SO I do not have to clarify throughout this article, when I say grandparents I mean your parents, your spouse/partner’s parents, your ‘ex’s’ parents (when you ‘ex’ is the parent of the child in the household with diabetes). Again I ask you to reply (parents, grandparents, and every thought is welcomed) here as oppose to the FB page where you saw this post so everyone can be part of the comments and can read, and can learn—-let’s do that together. Our Parents and/or our partner/spouse’s parents and our child’s diabetes? Grandparents. That sentence probably had one of two reactions in the pit of your stomach. 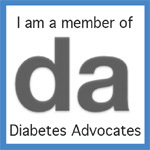 One being, “thank God for my parents because they are amazing when it comes to my child with diabetes”. Or there is a pain that is there because the relationship with your parent is not what it should be, could be, or was before diagnosis became the new normal. I have talked to literally hundreds of grandparents in my life about caring for a child with diabetes. My results are skewed, I admit, because much of these conversations occurred with grandparents while attending a Children with Diabetes Conference. If a grandparent is attending, they are already looking to become involved. One of the first questions to ask yourself is what was the relationship before diagnosis? If it was strained before, do not all of a sudden think that diagnosis will help; but in some cases I have heard where the relationship changes for the better and I have also heard that diagnosis resulted with grandparents greatly distancing themselves like never before after diagnosis; there are no hard-and-fast rules. That is the ‘once removed’ topic. Outside of the percentage of grand parents who live with, or care for the grandchildren daily, the kids do in fact ‘go home’. As I travel and speak to parents, I have heard very sad tales of how grandparents just could not handle diabetes. I have written and spoke many times that in many instances grandparents are the most ‘forgotten group’ during diagnosis. They want to help but do not want to be where the parents’ do not want them and that balance is hard to find. Some dive right in. Others either do not know where they belong, have no desire, or are scared beyond our wildest notion of what runs through their heads. Now I’m sure that many ‘a professional’ will tell you that there needs to be a dialogue created to see how this might all play out. That dialogue, in some cases. is as much a problem as the problem itself. If the ‘non involvement’ is due to the possibilities that they may live too far away or the parents HOLD ON to too much of the care and DO NOT allow grandparents involvement (for whatever the reason), is not what this is about and you need to ask yourself if it is and if YOU CAN CHANGE something to make it work, you need to take those steps. I think it’s important to understand that what we ‘would like’ is not always what it is; and what it is may not be subject to ever change. If everything that can be done is done to include grandparents and grandparents do not choose to be involved, it is not your fault. It is not the ‘fault’ of your parents either, it’s their choice. We may not agree with it, it may infuriate us, and above all it may really hurt us; but if it cannot and will not change, it becomes up to each of us what to do next. As if it is not enough to deal with diabetes itself to also have to deal with a parent or family member that is not involved the way we think they should be can really be frustrating; but it comes down to the choice being up to them. Whether we like it or not. I also know that we cannot merely ‘justify’ those bad feelings away. The entire situation can not be resolved by reading anything I can write or jus say ‘that’ will not bother us. I DO KNOW that you are not alone. Like the diagnosis of diabetes itself, we all learned that we are not alone, and neither are you in this instance. I witnessed a FB thread recently and I saw many people try to help. I also saw that certain situations may also come down to the fact that the situation will just not change no matter what others may suggest. No one knows like you know. Coming to grips with that point is up to you. Just as we worked through the fact that no matter how much we want, no matter how much we were in pain, we came to grips with the fact that a diabetes diagnosis was here to stay. You were strong enough for that and you are strong enough to handle this. Just as you worked through focusing on your child and did not compare what you go through or what others go through dealing with a disease; do not compare what other grandparents do or do not do; again focus what YOU NEED to do with your child’s diabetes. It will take time. It will still hurt. It will still anger you. But if everything you tried to include grandparents in the mix has not worked and that RULES YOU, your child will lose. No one has been better at avoiding that than you. One can only hope that something at some point will ‘turn on the light’ in the grandparents’ life. Should that happen, be ready to help them help you; if it does not happen know and remember this; you STILL ARE THE BEST THING in your child’s life………some days you need to be reminded that having you may very well be all your child needs. Something for free????? There is a catch, right? Nothing is for free. Why would someone give a weekend away completely for free? Can’t be true, can it? Well here is the world’s best kept secret and you have a shot to take part. Pump Wear is a company that has been around for a while and it is run by moms. Moms who understand, moms who care. They have been doing this for six years, and for the seventh year; YOU CAN BE THERE. Imagine the entire family getting away together for a Mother’s Day 2014 weekend (they plan something special for the moms too) for horseback riding, camp activities, boating, fishing, fun, fun, fun, all for free……you just get there and everything else is done, done, done. From their website about this incredible program and why they do it. Our goal has always been to help families enjoy all the wonderful things that childhood has to offer. With the daily stress of living with diabetes we want to be able to provide a haven for families to take a breath and enjoy time with their family and an opportunity to make friends. We understand the high cost of diabetes and the many life changes that occur and wanted to truly support an organization that offers our families the ability to spend 2 nights and 3 days in a beautiful setting with wonderful friends and lots of activities. The Double H Ranch is that place. We would like to offer 15 families the ability to come to this ranch and have fun and make friends. For a write-up of the event; click here. The camp grounds are none other than Paul Newman’s “A Hole in the Wall Camp” in Lake Luzerne, NY. What an incredible opportunity to get away for a weekend you will never forget. So if you live too far, send this to a family who lives with T1 Diabetes anywhere in the Northeast—-what an incredible opportunity. What an opportunity…..take advantage; some things are, indeed, completely free. Thank you Pump Wear, Inc…..just fabulous. PART II—PLEASE READ AND SHARE: Child Diagnosed at Death…..Need Your Help……Even if YOUR CHILD was Close. 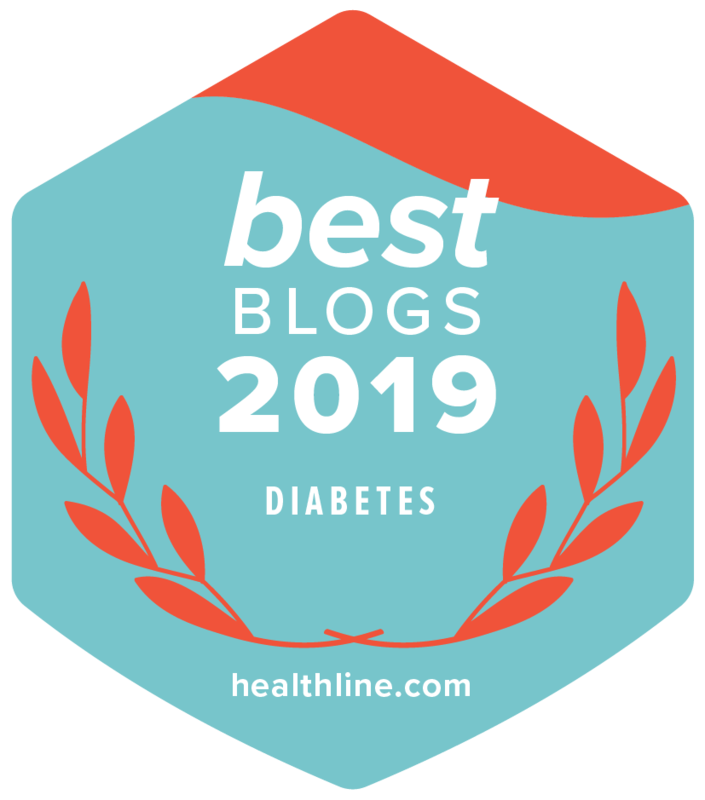 I wrote earlier today about having a good lead to help educate Family Physicians on looking more closely for diagnosis of diabetes before allowing misdiagnosis. Someone stated that I should not just include Diagnosis at Death….and I fully agree. If your doctor (no names please) missed the diagnosis of your child’s T1 diabetes when they showed symptoms of the flu or something else….please share your story. Sent to karlya@optonline.net and in the subject line please write ‘Parent’s Story’. Including State and pertinent information, share your feeling as well. PLEASE ONLY SHARE YOUR STORY IF YOU WENT FOR AN INITIAL DOCTOR’S VISIT AND THEY MIS-DIAGNOSED YOUR CHILD AND SENT YOU ON YOUR WAY. Thank you all….these will add powerful testaments. Thank you ‘Megan’ so much for chiming in with this idea. Child Diagnosed at Death; Thought it was the Flu….Now Let’s do Something about it….Need YOUR Help!!!! I am trying to collect every media story I can for any child diagnosed with T1 diabetes upon their death. Please send to karlya@optonline.net and in the subject line please write, “Media”. Do not assume that it was so popular that I probably received already. I need to create a case for the person I’m speaking to and I could use your help. Do not send any stories/links prior to January 1, 2008. Let;s start to change this once and for all. No child should die upon diagnosis right after seeing their family doctor. No Child. It May Not Seem So, But it was a BIG DEAL. Moments that will leave a mark on your brain, your heart, and your soul. Usually it is a major occurrence but I have also always been a master at remembering the little things that have happened in my life, but little compared to the world’s standards, not mine; but they hugely impacted my life. Years ago I starred in a production of a wonderful show entitled, “Our Town”. Our Town’s simple but extremely powerful message is to enjoy the little things in life as they will surely pass us by at lightning speed. And they surely do, both good…….and not so good. In eighth grade my friend Karen told me at lunch time that she felt bad and voted for the classmate I was running against for Class President because she did not think he would get any votes; I lost by one vote; I remember dialing the phone calling ‘that first’ girl in the 6th grade–worse yet I remember her father saying “what do you want?” when he answered the phone; I remember a particular baseball game in Little League where I was bought in the last inning to pitch; up by one run, no outs, and the bases loaded; I struck out the next three batters. The major occasions are easy but I have always been able to see something and say, “remember this” it matters. Do you have moments that others may just pass over but you remember? My two sons and I went together to be measured for our tuxedos for my son’s wedding in a month. (WOW–30 days away) Now surely the wedding memories will trump yesterday but I need to share that sitting back and watching my sons be fitted was an incredible moment in my life. The movie in my head played all the big moments like graduations and proms and a diabetes diagnosis and first jobs and college and being a fireman; but the growing up ‘mind-movie-clips’ of baseball games, finding a cat, school sports night, a beautiful hand done art piece, laughing together,……well……they all rushed back too. There was much pride. My boys are now good men. Note I did not say perfect men, but why should they be the first two? None of us are. So it was a normal Wednesday to most people, but in a little tuxedo place in Lake Ronkonkoma, New York it was a big day for a big event……as little as it would seem to most. But not to me. And diabetes had no bearing on it whatsoever………..which made it even better. In the majority of this country kids have started school. Hundreds of times I have seen the photo dreaded by every kid holding a sign with the year they are in and the grade they are in…….they’ll survive; and their future spouse will thank us all 20 years or so from now. The pictures are fabulous. Today I write to remind you to stop and look in the mirror and realize what you have just done that many others have not. Today I want you to celebrate……..well……..you. Because while other parents did the same as you with new supplies, new shoes, new outfits, and figuring out just what room their child is to report; you had to do so much more. Your ‘Drive Carefully’.\, now that the schools have swung wide open, is so much more than actually boarding a vehicle. Your ‘drive carefully’ is navigating the waters ahead with diabetes. You had to figure 504 plans, visit the nurse, visit the principal, figure out what glucose tablets, glucometer, strips, pump supplies, and so much more had to be given to the school nurse. Months ago you had to get an extra prescription for the extra glucagon and whatever else you needed to be kept at school. You paced how far it was for the bus, the walk, or the ride so you know each and every day exactly where your child is at ever minute that will tick-off the clock while your child travels to school, and while your child travels home. You have rearranged your schedule at work and/or home to be able to get done what you normally can not get done and you have to be ready throughout the school year. You have to hug your child and tell them how proud you are. You have to smile as you take their picture. You have to be excited for them every second. And when you are alone you cry hysterically as you worry if the nurse really knows what she is doing, will the substitute understand what has to be done, and that YOU are not in control for the hours your child is at school is killing you. You cry because you feel that YOU have to do all of this and your spouse, partner, and mate does not even understand all you do, you feel alone. You cry alone. Yes, many of us do. And for all that you do, be proud that the result will be another school year of success because you are a supermom, and in some instances; a superdad. Look in the mirror and know that all you have done is heroic. It may not seem it. You may say, ‘not really’, but you would be wrong. You have done with, in spite of, despite; diabetes. Because of you this school year started and diabetes did not win. And you should be proud.